This month, we feature Legal Services Society (LSS), a Clicklaw contributor. The Legal Services Society (LSS) is a non-profit organization created by the LSS Act in 1979 to provide legal information, advice, and representation services to people with low incomes. Most people call us Legal Aid BC. Our priority is to serve the interests of people with low incomes. But many of our services are available to all British Columbians. We do this by providing a range of services that help people resolve their legal problems. These services include legal information, legal advice, and legal representation. Our services are offered at legal aid locations throughout the province or by calling 1-888-577-2525. Since it’s launched the site has had over 36,000 users. The Make a Will pathway has been used around 5,600 times and the Make a Separation Plan pathway is just below that at around 5,400. We’ve also done extensive user testing since the launch. If you’ve used MyLawBC in the past, check it out again and complete a 2-3 minute survey about your experience with MyLawBC.com. You could win a cash prize of $100. If you want to let others know about MyLawBC, see the Communication Kit. 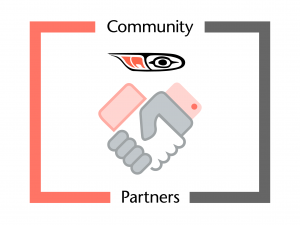 LSS partners with 26 agencies in BC to provide legal information, connect people to the LSS call centre or local agent, and/or connect people to other legal help. We call them our community partners. The contracts are small, but the impact is big because the front-line workers do other jobs for their agency that put them into direct and frequent contact with people who need legal help. For a complete list of locations and the names of our partners, visit the Community Partners webpage and the Clicklaw HelpMap (for an interactive Google Map). What’s First Nations Court? – This fact sheet explains restorative justice, how you get into First Nations Court, where First Nations Courts are located, who’s at First Nations Court, and what a healing plan is. Your Gladue Rights – a plain language booklet about Aboriginal peoples’ rights under the Criminal Code of Canada called Gladue rights. 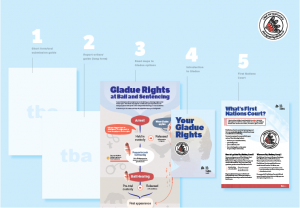 Gladue Rights at Bail and Sentencing – This infographic poster shows when Gladue rights apply for Aboriginal people during the criminal court process, and when to get a Gladue report or prepare an oral Gladue submission. Coming later in 2017 will be the Gladue Submission Guide and the Gladue Report Guide which help Aboriginal people, advocates, and intermediaries make Gladue reports or submissions. Clicklaw blog subscribers will stay up to date with new publications like these through the Bi-Monthly Update Series. Sign up for the newsletter at The Factum.